I’ve grown in so many ways over the last 7 years. Of course I’ve developed as an academic and a scientist. Graduate school is not easy for anyone. I had a particularly rough go of it for many reasons, including the fact that I figured out in my 2nd year of school that I did not want to pursue a career as an academic scientist. I found aspects of being a scientist that I liked (i.e. teaching) and excelled at (i.e. writing). But the day-in-day-out task of bench work? I hated it. A lot of success in academic research is about luck – whether a project pans out or an experimental system works can’t be known before actually trying the experiment. Unfortunately, I got unlucky a few times and had to throw my entire project in the trash and start from scratch – a disheartening process at best. Additionally, the only real metric of success is a publication, and I need more regular validation than a single paper every 3-5 years. There were many, many days that I cried on my way into lab. There were many, many days that I seriously considered dropping out. But I didn’t. And for that, I am very proud of myself. Of course I went through a lot of personal growth as well – those 7 years span the majority of my 20’s, after all. I overcame health challenges – both mental and physical. My mom went through a major health crisis and I struggled with being so far away. I went through untold numbers of dates, several boyfriends (and ensuing breakups), and finally met the man of my dreams to whom I am now engaged. I said goodbye to two cats that were my closest companions for many years. I made some amazing friends and drifted away from others. I drove a scooter for a few years. I lived in three apartments in San Francisco – I shared a place in Twin Peaks with an unstable roommate, lived alone in a studio on Market at Guerrero, and moved into Noe Valley with my boyfriend turned fiancé. I’ve learned a lot about sewing over the years as well. Seven years ago I mostly made costumes. I got into upcycling skirts from jeans that I rescued from the thrift store and sold them on Etsy and at local fairs for a while, but it reached the point where I felt like a factory and it didn’t feel creative (and I ran out of storage room in my tiny studio apartment). I started sewing more for myself and took on custom orders for friends (mostly crazy things to wear to Burning Man). And eventually I started blogging about my sewing which had a profound effect on my life for many reasons. I made sewing friends through the online sewing community who understood my passion/obsession => I was inspired by those friends to try new things => Trying new things inspired me to learn as much as I could about sewing technique => Focusing on technique has made my technical skills grow by leaps and bounds and having friendship, encouragement, and support has made my self confidence grow by leaps and bounds. So what comes next? Sewing no longer has to be my creative release – it gets to be my everything. In July, we are moving back to the Pacific Northwest to live near my family. In August, we are getting married. September-December we are traveling around the world. And then next year, I am jumping headfirst into SeamstressErin Designs. I have big dreams and I hope to have all of you along for my journey. Behind the scenes I already have several exciting things in the pipeline (several magazine articles and a TV appearance!) and I can’t wait until I get to start sharing them with you. I want to thank each and every reader of my blog for the support you have given me because each of you has been a part of carrying me through this Ph.D. journey and inspiring me into pursuing my dreams. For my Ph.D. exit talk, I made a second version of Colette’s Ceylon dress, with the same fit adjustments as my first dress. I rarely re-sew a pattern (even when I say I’m going to), especially so soon after sewing it the first time. But I loved how flattering this dress was on me and I thought it was the perfect balance of respectable and fun for giving my Ph.D. exit talk. The fabric is linen from the 70’s that I bought at a flea market in Guernville, CA at the same time as the fabric for my Ava top, Rigel Bomber Jacket, and Thanksgiving Dress. Since the fabric was a fairly loose weave and this dress is quite form fitting, I underlined the main pieces in a cotton voile (for more info, see When to Underline Your Sewing). I finished all the seams by serging them. The dress is quite heavy on the hanger because of the thickness of the linen and the addition of the underlining, but, fortunately, it still breathes very well and is perfect for spring weather. I made piping out of some new linen that I purchased to match. I originally bought pre-made piping but it just wasn’t the right color of orange so I caved and made my own. I covered buttons out of the rest of the linen since I couldn’t find enough of the right color buttons at the last minute. I’m so glad that I added the piping and covered the buttons since they help to make the interesting construction of the dress pop while also balancing out the crazy fabric. The dress (and my talk) were a smashing success! Congratulations on the science and the dress! I was nodding all through that paragraph on the sanity-maintaining properties of sewing as a counter balance to lab. Can’t wait to see where you take SeamstressErin! Much congratulations! Much success in what is to come. I’m now writing my PhD thesis and will hopefully submit by mid August. Best of luck to you in writing your thesis. There is an end in sight! You can do it! Congratulations, Erin! Earning a doctorate is quite an accomplishment, and you should be very proud of yourself for persevering! That dress looks like it was perfect for the occasion. I’m looking forward to seeing your business develop! Congratulations on the PhD! I just wrote about why I sew – and talked about the same feeling of tangible accomplishment. My need for that creative outlet and result is fueled by staying at home with my son, but I imagine that there are similar parallels to academic work where much of the time spent doesn’t result in a physical result. At any rate, the dress looks great too! Congratulations! I almost never actually comment on blogs, but your story rings so familiarly that I couldn’t help it. I just completed my PhD myself and I encountered many of the bumps in the road you describe, including three complete changes in my topic of study and a change in advisor. But, in the course of the work, I managed to complete countless hand-knit sweaters and learn to sew for myself. I didn’t, however, have the nerve to give my defense in hand-made clothing. Your dress is beautiful and I hope you continue to be very proud of your accomplishment! Congratulations to you too! So sorry that you had to get over some major bumps in grad school yourself. I’m so glad that you found knitting and sewing to help you get through it! CONGRATULATIONS! I’m a lapsed scientist, but I supported my husband through his PhD so I know how emotionally draining they can be. Looking forward to seeing your progress through the next part of your life! And, that dress looks lovely on you – the colour is just wonderful for you. Wow, congratulations, Dr. SeamstressErin! I loved this post – thank you for sharing this story of your journey. We’re all proud right along with you, and excited to see what the future holds. That dress is a stunner! When you get to the PNW, if you’re in PDX, I’d love to take you for a celebratory coffee! Thanks! I’d love to have coffee with you! I’m very much hoping to get down to PDX regularly since it’s a great town and I still have several close friends there. Congratualtions on your PhD! Science can be a fickle mistress (I used to be a research associate at the Gladstone, back when the Gladstone was at SFGH The photo of you standing next to your talk flier was brought back memories :). The perseverance and creativity demanded by bench work will see you through any new venture in life! I wish you the best of luck in your new adventure, I’m sure that the perseverance and skills that got you through your PhD will serve you well in anything you choose to do. Congratulations to you too!! I agree, there are many skills learned during a Ph.D. that will serve me (and you!) in any future direction. Hurrah for you! Congratulations on your Ph.D. and that fabulous dress! Sounds like you have a bright and beautiful future ahead! Congratulations!!! I think everyone reaches that dark point in the middle of their PhD where they can’t remember life before and also can’t imagine ever being done with it. People think you just need to be smart to do a PhD (which, of course, you do!) but they underestimate the tenacity, perseverance and strength of character needed to see it through! Then there’s all that pressure to “do something” with our degrees. With all that went into getting your degree and the courage you’re showing to make your own way after, I’m sure your future is full of great things! Cheers! Congrats! And how exciting – a tv appearance and articles too! Congrats to your PhD and good luck on your future paths! Massive congratulations Dr erin! Your dress is lovely. I’ve seen a few cute ceylons recently and it’s put it back on my radar. How exciting about your future projects – can’t wait to hear what you have lined up! I’ve been reading your blog for a bit. I just want to say, congratulations Dr. SeamstressErin! I’m sure it was tough to go through all, but it’s worth it in the end. I can’t wait to see what you have planned for your future projects! The dress, completely lovely!!! I love the color and the piping. I think they go together perfectly. Great, great job!!! Huge congratulations on your Ph.D. I did a second degree in my late forties and sewing kept me sane – and still does. Every blessing for the future, especially your wedding. Congratulations, Dr. Erin!!! Sewing has been a much bigger part of my life since I began my PhD for many of the same reasons you mention. And it’s so wonderful to see people finish as I’m here at the end of my second year — it reminds me that it can be done! It can be done! There will be dark times ahead, but hang onto your creative pursuits through the process and you will make it to the other end! Congrats on the doctorate and your dress is lovely! Heartfelt congratulations on achieving your PhD! I am amazed at all you have accomplished sewing/crafting/quilting-wise this year, in ADDITION to completing your degree! Well deserved. Wishing you all the best with your upcoming wedding and future exciting plans! Hurray Dr. Erin! Congratulations on finishing up your PhD and somehow making a beautiful dress to celebrate the occasion. You are amazing, Doctora Erin! Congratulations for your PhD! Huge congratulations on everything, not just the PhD or the fabulous dress, but also having the courage to pursue your dreams. Yes! I do believe we are planning on being in Thailand! 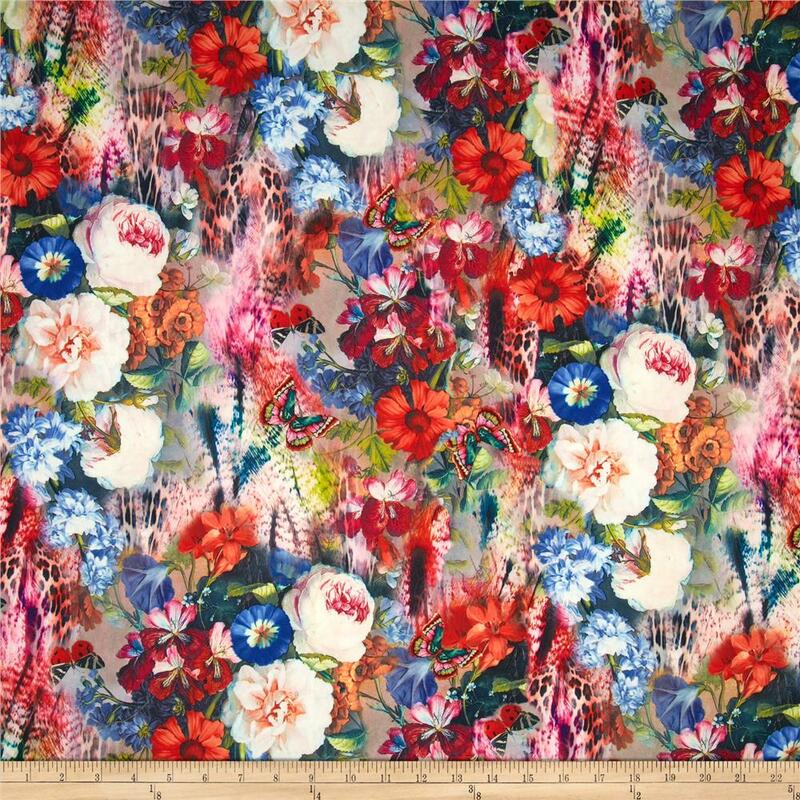 I would very much love to be taken fabric shopping :) I will email you when our plans finalize a bit more. Thanks so much for the offer! Huge congratulations! This is a very special post about a very special dress and day. I totally feel you and am very encouraged by your post. I’m in my third year of a phd and am realising I don’t want this life at all. I absolutely cannot wait to heAr/ read all about your next steps. So proud and happy FOR you, Erin. Lovely dress, and a great journey and accomplishment. Wonderful! Congratulations Erin! I’m currently writing up my thesis and I’m DEFINITELY a lot more interested in what dress I’m going to make for my viva than my research at the moment. It’s great to see that there is an end to it all (and that it ends in something so pretty!). Congratulations! Must be a huge relieve it´s all over. The rest of your year sounds like it is going to be a lot of fun so I hope you´ll enjoy yourself everyday! Much congratulations on PhD and the dress! I wish you the best luck for your bright future! Congratulations and indeed a great dress! As someone who should be submitting a PhD within the next few months, and who has been about to drop out several times I can only say: congratulations on having stuck with it. What a wonderful achievement and what an inspiring post! Thank you. Hey, Erin…Wowza. The dress is like a PhD by itself–super smart & so pretty on you. What a color. And vintage linen. You certainly found the right use for some amazing fabric. And congrats on the degree, too. Nice to have it over & move on to the next part of your life. Enjoy! Congratulations, Erin! I’ve only been reading here for the past year or so, so I can’t say I’ve been reading for anywhere close to your whole journey, but it’s still an awesome one. Making it through to the other side of a PhD is a huge accomplishment, and you have completely earned feeling super, super proud of yourself. Congratulations! I have lurked on your blog for ages, but thought this was a momentous enough occasion to comment. May sewing continue to be a fun and creative outlet, and get you through not so fun career challenges, as it does for me, 20 years (!!!!!!) after finishing my PhD. So much hard work, you deserve to CELEBRATE hard!! Exceptional achievement. Congratulations. All the very best is wished to you. Congratulations! It must feel amazing to have a doctorate. Your dress is great and looks very good on you. This post is SO exciting!! Congrats Dr Seamstress Erin! Looking forward to what happens next. Best of luck! Congratulations on your Ph.D and for sporting a hand-made dress at your defense (how cool is that?). Congratulations, Dr. Seamstress Erin! Having dropped out of TWO PhD programs (in wildly different subjects, 15 years apart), I hear you on the academic life. I’m really looking forward to seeing what you share with us! Congratulations on your amazing achievement! I love your Ceylon, it is lovely and really suits you. I can’t wait to see what you have in store for SeamstressErin Designs! Congrats, beautiful, talented, and super-smart Erin! YOU DID IT!!! I am very proud of your accomplishment and your persistence. And of course, most happy you will be close by soon. Best wishes for a fantastically successful next-phase-of-your-life as Seamstress Erin!! Congrats, Dr. Erin! Can’t wait to see what the future has in store for you!! Just fabulous! You are a great inspiration. Looking forward to hearing more about your Seamstress Erin plans. Congratulations! What a fabulous dress to mark a very important occasion in your life. That color suits you so well, too. I don’t know what it is, but I think the color is truly fantastic on you! Thanks! I usually steer pretty well clear of orange (even though I LOVE how bright and cheery it is!) because it’s not usually that great next to my pale skin, but in this fabric mixed with the off-white it really does seem to work! Hooray! I’m so happy for you, Dr Seamstress! Woohoo congrats. Big achievement! I made my PhD adviser a genome quilt of the sequence I worked on during grad school and gave it to her at my defense party. I probably was working on the binding late the night before instead of practicing ;). Congratulations on a beautiful dress and finally get your well deserved PhD, I study organic/medical chemistry and is currently half way through my master, I love the research part but dread the writhing and ended up with a depression when I was writhing my bachelor thesis. I’m thinking about doctorate but dread the thesis in the end of the 3-5 years (depending of if you are taking courses or teaching). We have a different system and I had halt a year research as my bachelor project, and the only thing left before in my master is 1 year research, the best part in my opinion. Thanks! I honestly felt the exact OPPOSITE feelings. I abhorred bench work, but loved any chance that I had to write about my work. I wish you the best of luck in finishing your program. Thanks! I can’t say that I have any real secrets to how I did everything, other than spending every waking moment doing something. It helped that my Man travels for work so on night when he is gone I would come home and do nothing but sew. I make zero claims to having any sort of balance in my life! Congrats! I remember my thesis defense on muscle regeneration very well, even after 4 yrs, I can give the talk from memory. I’m glad there are other PhDs/sewists! I wish we met when I lived in SF, I did 2.5yrs of postdocing in SF before switching to full time teaching in Ohio. Thanks so much! Congratulations to you too – even after several years it’s worth celebrating the achievement! I agree, it’s too bad we didn’t meet in SF. I hope that full time teaching is treating you well! Congratulations, Doctor Erin! What a huge accomplishment. So many people do give up but you persevered. Yay for you! And kudos on the lovely dress. 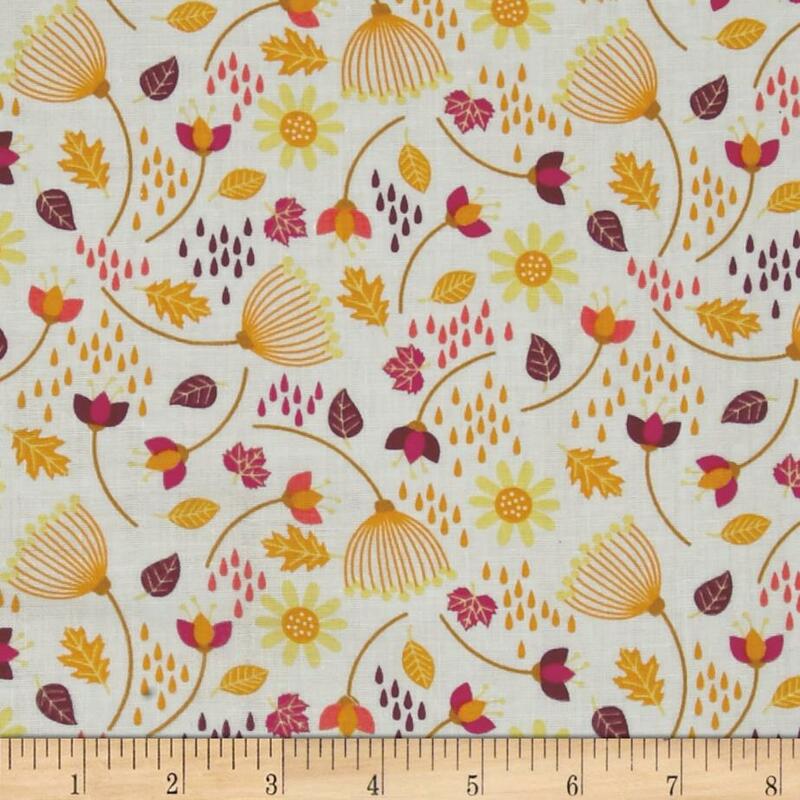 While I like Colette’s patterns, they are not participating in Sewing Indie Month. Because the participating companies put a ton of work in behind the scenes for months in preparation for Sewing Indie Month, only patterns from participating companies are eligible for one of the prizes. Congratulations. Love the dress. The fabric is beautiful! I just found your blog through Amy of Sew Well. I really like it! And massive congratulations on your degree! I also want to say that I understand all the pain you had with your PhD. I am currently on leave from my PhD program. I’ve been spending my leave working on starting up my leatherworking company and Etsy shop (coming soon!) and thinking about doing science/engineering consulting so I could do science part time and art/sewing part time somehow to make a living. I really haven’t wanted to go back to my PhD the entire time I’ve been off school. I know theoretically that I have the skills to do grad school and finish, but like you, my project was just going no where and I think I will have to pretty much start over if I went back. It’s just so frustrating to fail over and over again, and feel like so much of the success is luck. It’s nice to see another scientist going down the artist/crafter path. It feels so terrifying sometimes to tell people that I might be leaving science to pursue art and crafting. Have you had to deal with anyone telling you that you “should” do science because you’re so smart and the world needs you? I’ve gotten that a couple times and I don’t know quite what to do with it. Thanks so much! I’m so sorry that you too have had struggles with grad school. I’m sure you know you’re not alone in that, but knowing that other struggle doesn’t really lessen your own struggles. I am so proud of myself for finishing but I think if I had ever taken a leave I wouldn’t have been able to go back. Yes, so many well-meaning people have said some truly rude things to me about what I should be doing, or how I’m wasting my degree, or what have you. But I smile and nod, and say yes I may go back to science some day (because it’s what they want to hear and who knows what the future may hold), and I stand firm in knowing that right now I am making the decisions that are right for me. I believe I have more ability to change people’s lives and change the world teaching people how to sew than I do as one more drudge in a research lab. Tellingly, it’s never people in science who tell me that I should be doing science to change the world. Stay strong through your struggles. Know that you’re not alone. And stand strong in the making the decisions that are right for you. And feel free to email me any time you need words of support from someone who’s made it out the other end! Congratulations Doc! Such an encouraging story and and exciting times ahead of you for sure! I wish you lots of luck and happiness for your wedding and travels and if you end up anywhere near south west Germany, then give me a shout. Can’t wait to see your sewing venture, I’m sure it’ll be very successful. All the best, Christine. A belated but hearty congratulations from another seamster/knitter PhD. Do PhDs get to call ourselves Dr X? Are we real doctors? I get varying answers. As a scientist, I think I need to collect more data to answer that question! Congrats to you for finishing your doctorate as well! I strongly believe that yes, we are real doctors!! I just found this, so very well done on your PhD. I completed mine nearly 20 years ago and did it all whilst I had two infants that my husband had to look after. He did all the cooking and it has stayed that way :). I am a full professor now but use sewing and knitting as a means of getting work/life balance and, like you, love the creative process and the satisfaction of wearing the fruits of my own labour. In response to the question about whether we are real doctors, we are in fact, the only real doctors! Medical doctors will tell you that their title is purely honorary. A PhD is about a life dedicated to the pursuit of knowledge and the spreading of that knowledge, so congratulations again on a wonderful achievement. Wow! Congrats to you too! I can’t imagine finishing a Ph.D. with two infants, but I guess we rise to the challenges that life hands us, don’t we?